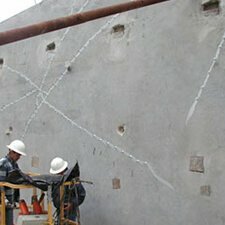 Chemical Grouting products are available to stop groundwater intrusion in underground structures or pipe lines. Air-test and sealing packers, chemical grout pumps, acrylate and urethane grouts, waterstop materials, severe coating products, concrete restoration and epoxy injection. While appearing somewhat innocuous, chemical grout is an incredibly useful and economic tool available to plumbers and tradesmen. Our chemical grout offerings encompass a wide variety of grouts and formulas suitable for both commercial and residential plumbing repairs. 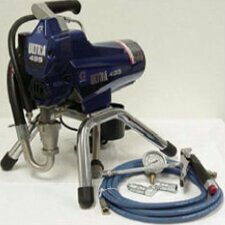 We are proud to furnish pipe professionals with chemical grouts, grout pumps, sealant testing equipment, waterstops, coating products, epoxies, and any other items that your situation may require. When you need chemical grouting, or any other sewage and drainage repair equipment, look no further than PrimeLine Products, Inc.
Chemical grout can serve a multitude of purposes in homes or businesses. In most cases, chemical grout is used to form a seal around groundwater containers and septic tanks. The grout will bind to the surfaces in question, forming an airtight bond against potential groundwater intrusion and contamination. 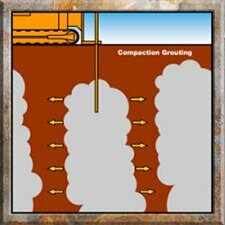 The different types of grouting can be used depending on the climate conditions and nature of the job at hand. Given the nature of their chemical composition, urethane and acrylate grouts are better utilized for commercial and residential purposes, respectively. These kinds of services are most often employed in repairs or replacements of underground structures like pipelines and septic tank storage containers. Chemical grouting is often applied in situations where a groundwater reserve or a wastewater reserve has leaked into the surrounding property, threatening potential contamination and increased cost of operation. 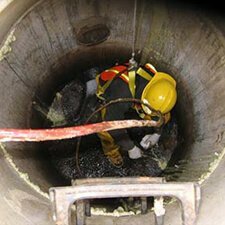 In most cases, chemical grouting services can be performed within the span of a day, depending on the extent and nature of the underlying problem. In other cases, chemical grout is used during manhole and wet well rehabilitation services, to ensure a complete and sanitary seal is formed. With PrimeLine Products, Inc., our chemical grouting products are designed to ensure maximum satisfaction and minimum expenditure. We offer competitive shipping rates, carefully itemized transportation, and cordial service that is corroborated by our overwhelmingly positive customer testimony. To these ends, our staff is passionate, trained and experienced in the sale and usage of sewage and drainage technologies and equipment. Our equipment is hand-picked and intensively tested to ensure complete and total customer satisfaction. Knowing who to turn to for providing professional-grade sewage and drainage equipment is not always easy. Our team at PrimeLine Products, Inc. is always available to make sure you are choosing equipment that will best fit your business needs. Our team tests every piece of equipment and material we offer to ensure that you will get the results you want. We are able to provide each and every one of our customer with the most effective, most efficiency and most economical plumbing solutions available on the market today. When you think of chemical grouting, or any other equipment that you may need, think of PrimeLine Products. Contact us today to learn more about the equipment we offer in addition to how our equipment can grow your pipe lining business.